Call me old school, but I want to bring back that special feeling of holding your memories in your hands…without plugging in. The photo industry has changed so much in the digital age. Social media, DVDs, USB drives. The flexibility we’ve gained with the ability to share all of our memories at the click of a button is incredible. Things are changing so fast, it’s hard to say when the next “big thing” will be here and the last will become obsolete. Isn’t it beautifully nostalgic to flip through your parents or grandparent’s photo albums? Having your photos in a physical, tangible format is an entirely different experience- one that is often forgotten about these days. You can choose to be as involved, or not at all, in the design process. Either way, you will walk away with something special to remember your day for a lifetime. All flush mount albums are hand-made, using the finest archival materials for a timeless, classic look. 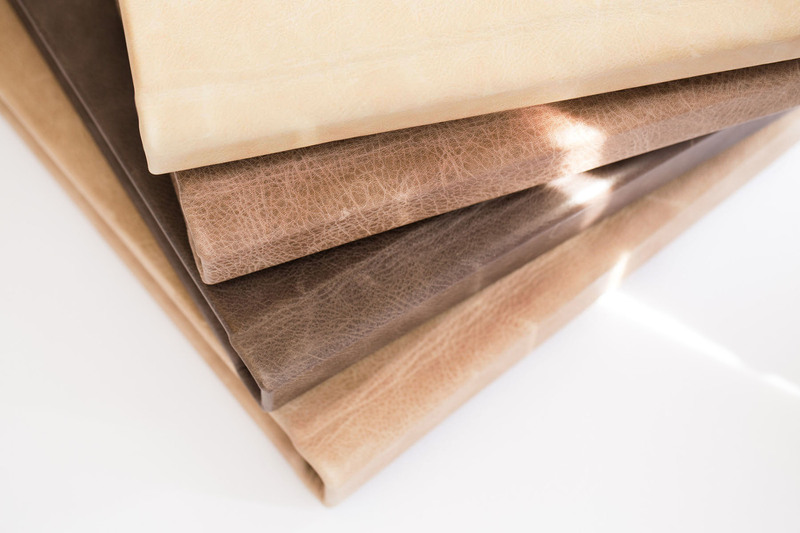 Choose from several Italian grade leathers or a premium selection of rich color linens for a unique cover. 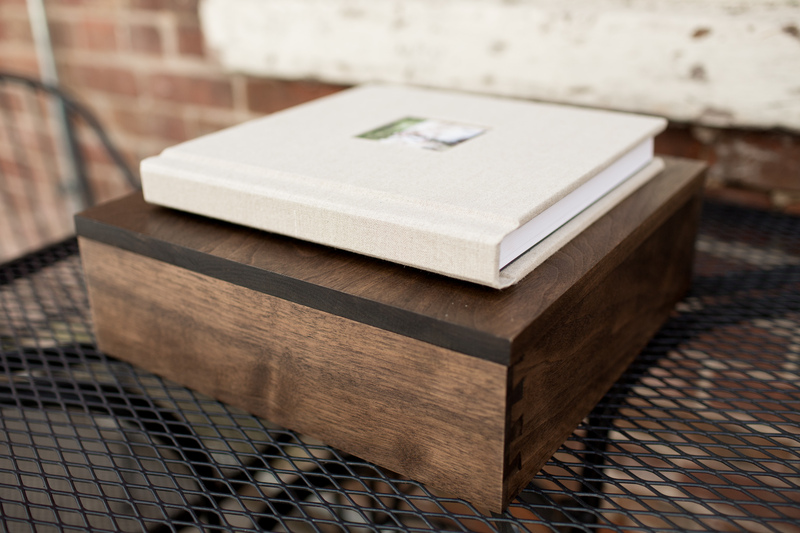 The walnut presentation boxes are perfect for protecting, storing, and showcasing your Heirloom Album in your home. Each piece of wood is a labor of love, milled in a multi-day process to be refined. + Handcrafted with dovetail joints, custom laser engraving, and choice of three wood stains. Please contact me for a copy of my wedding menu for album pricing.